ABS-CBN Lingkod Kapamilya Foundation, Inc. (ALKFI) and JPMorgan Chase & Co. collaborated to ensure proper disposal of used lead acid batteries. (L-R) JPMorgan Chase Philippine Global Service Center Chief Compliance Officer Carlos Francisco; JPMorgan Chase Philippine Global Service Center General Counsel Emilio Amaranto; Bantay Kalikasan Program Director Norie Garcia; JPMorgan Chase Chief Administrative Officer Sandeep Mulajkar; ABS-CBN Lingkod Kapamilya Foundation, Inc. Chief Marketing Officer Susan Afan; JPMorgan Chase Philippines Global Real Estate Executive Michael Magpusao; Oriental & Motolite Marketing Corporation ULAB Supervisor Rita Regalado and; JPMorgan Chase Philippines Head of Corporate Communications Pixie Javier-Gutierrez launched their partnership to recycle used lead acid batteries. The collaboration is through Bantay Kalikasan’s Bantay Baterya project, which has a long standing partnership with Oriental & Motolite Marketing Corporation (OMMC). OMMC is an accredited treater of used lead acid batteries in the country. Subsequently, the value of the reprocessed batteries is donated to Bantay Kalikasan for its various environmental undertakings such as developing model ecotourism sites in the country. 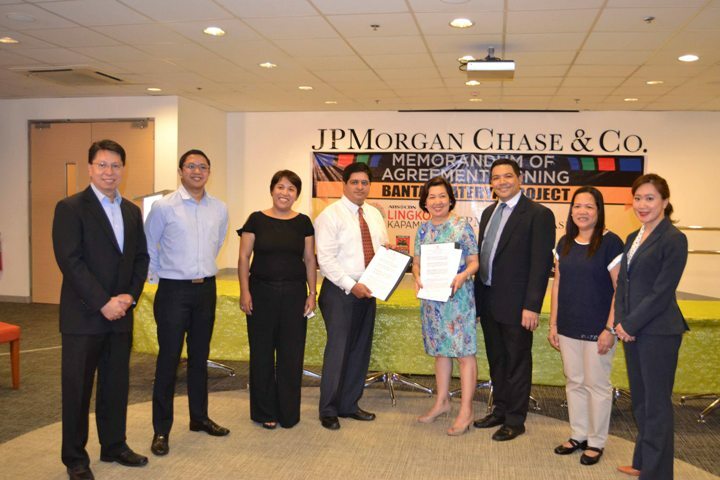 JPMorgan Chase Philippines’ Head of Corporate Communications Pixie Javier-Gutierrez shared their firm’s commitment to corporate social responsibility not only in the Philippines but also in other countries where JP Morgan Chase is present. “JPMorgan Chase’s commitment to giving back to the community is evident around the world with our balanced portfolio of philanthropic investments, employee volunteerism and disaster relief efforts. We’ve also been a proud partner to ABS-CBN Lingkod Kapamilya over the years and we continue to support their many programs in the country,” said Gutierrez. ALKFI Chief Marketing Officer Susan Afan expressed gratitude for the continued support of JPMorgan Chase to the foundation. “Let me say from the bottom of my heart that the people of JPMorgan Chase are truly involved in community development and environmental initiatives. Maraming maraming salamat sa inyong patuloy na pagsuporta sa aming foundation. Mabuhay ang JPMorgan Chase & Co!” Afan exclaimed.